What got you interested in studying gems and minerals? I was born in 1946 BC (before computers) and before television. 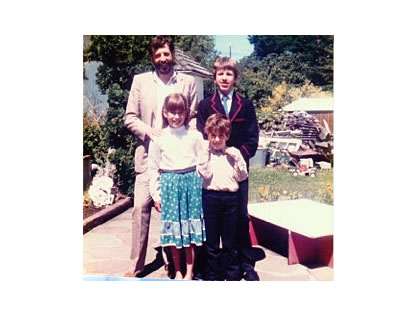 My parents and grandparents told me amazing stories of fortune and adventure found by overcoming great peril and that nearly all problems are just opportunities in disguise. One day when I was 8 years old I was walking on a beach with my grandpa and I found a green rock that glowed in the afternoon sunlight. It was a very high quality piece of jade! My Grandpa had told me of his adventures in Africa and other far away lands building roads and bridges, and how he had seen marvelous gems and gold come out of the earth in those distant lands. That piece showed me that vast treasure still lay in secret places within the earth, even there on that beach then, and also today. As old as I am now, that moment of discovery 60 years ago is renewed in me every time I discover a new gem or mineral deposit, even now I feel like a cheering 8 year old boy again when I first pull out that gems crystal or gold nugget from the ground. My travels have taken me all over North and South America, Africa and Asia, mining, exploring, prospecting, and being thankful for this huge treasure chest called - planet earth. 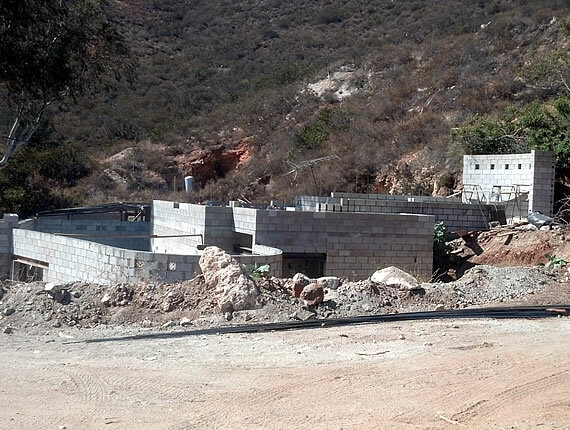 Be careful, access to collecting sites depends on who owns the land. Websites that list collecting sites are not usually up to date. Even on public land there may be an active claim on a mineral deposit and you may be trespassing. Check with local mineral clubs, they often lead field trips to sites they have permission to visit, this is the safest way to collect! Started by an amateur rock hound who enjoys discovering new places to find some nice rock specimens. "This is a place where we can share locations to collect specific minerals, crystals, fossils, etc." As of July 2014, this website cataloged 522 rock collecting locations in 46 states. What did you think you wanted to do in high school? I wanted to be an explorer and someone like Dr. Albert Schweitzer with animals. Can you find minerals anywhere? gems? Where are the best places to look, and why? Gems are usually minerals, although pearls and amber are organic substances. Gems are so rare and uncommon that there are never enough of them to supply the desires of the world's markets. You find gem minerals in two types of deposits: 1 - Hardrock (or Lode), or, 2 - Placer (or Alluvial) such as river bed gravels. Each require careful mining techniques that preserve the natural environment and also do not damage the gems. Before anyone can mine these precious rarities, they must be found by scrupulous exploration. The first phase of exploring is to explore knowledge in libraries and good internet resources. Finding out about how and where the rocks were formed is very important. It's a lot like fishing. Fish are found in water. But we don't go fishing in a bath tub or a mud puddle! So we must find the right kind of rock and just the right spot by researching maps and books and data, before we go out into the field to prospect and search the ground. What's a typical day like for you in the mine? Mining is about 60% fixing and operating machines, and then 30% building the right supports for tunnels or for getting the rock out to a safe place. That leaves about 10% of the time when I can go and dig and extract gems. 10% exhilaration and 90% perspiration! Thousands die every year in the mines around the world. I personally have no tolerance for those who act unsafely in the mines, or, anywhere for that matter. 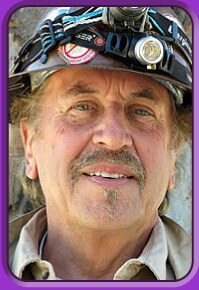 As a Mining Engineer I learn how to construct and operate a mine at or above all local, state and federal codes. I am licensed by 6 government agencies. Mines are not playgrounds, so never enter an abandoned mine or even a working mine, it can be your last tragic mistake. What are the challenges you face every day? In the world of mining for precious metals or gems, there are rich deposits that are being extracted to be sold in a legitimate and fair marketplace. However, a small percentage of the population are criminals, and we have regularly been targeted by bad guys! It requires constant monitoring by hidden video surveillance, armed guards, and local police. So, crime is the greatest danger I face. What are the tools you use? We remove the bulk of the rock in order to get close to the gem pockets (called Miarolitic Cavities) using drills, blasting compounds, and machinery such as front-end loaders. When a pocket is near, we use hand tools such as rock picks and pry bars to get the outer wall open, then we go very, very slowly to extract these pockets using bamboo chopsticks (which are strong yet soft enough so as not to scratch gem crystals), water jets, and scratchers, loading the wrapped contents into buckets for safe delivery to the clean-up lab. Most amazing thing that's ever happened to you in your work as a mining engineer? Scuba diving into a set of flooded tunnels. The colors of the minerals are greatly enhanced by being under water. I do not recommend this activity though, because it is very dangerous. Do you have a favorite mineral or gem? The miracle of crystallization is still not 100% understood by science. However the 200 or so types of gem minerals are being mined out of the earth at a hugely accelerated rate using today's technology, and some rare stones are already "extinct". I love the extremely rare – those gems that most folks have never heard of,such as Musgravite, Clinohumite, Hackmanite, or Triplite. However, I am also a pushover for great emeralds or tourmalines. How/where did you learn to cut gemstones? In 1967 I began cutting emerald and diamond for a company in Hatton Garden in London, England. In May of 1982, I attained my Master Faceter diploma from the International School of Faceting, in Israel. What's the most exciting thing happening in your work now? We are revamping the Stewart Mine, building new infrastructure and preparing for the future with non-polluting new equipment and the most modern gem mining operation in the world. What steps are you taking to make the mine safe for the environment? The mountain that contains the Stewart Mine pegmatite has been contoured and terraced much like the ancient Inca system to control water/rainfall, thereby preventing dust and particulates from washing into creeks or rivers. The minerals in the "tailings" or waste rock that are placed in huge dams on the surface are rich in desirable trace elements that are good for the environment. There are no toxic materials in the minerals of the mine. 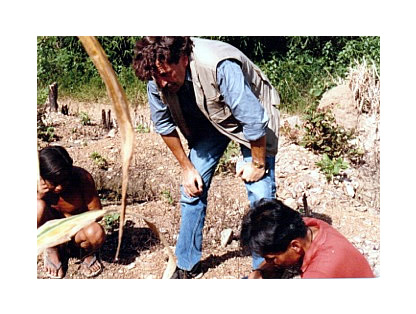 The mine property is higher in population of animals and plants than the surrounding lands, and we intend to "Mine Mindfully" providing needed materials to the world in an environmentally positive manner. How could I best prepare for a career as mining engineer -Where would I go to school and/or go to work to learn the trade? Are there apprenticeships? 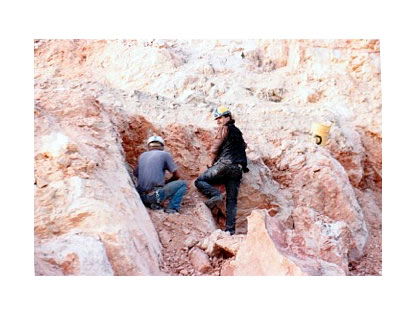 What are the career opportunities for mining engineers and mineralogists? Endless and huge!!! In the future, there may be trips into space to mine asteroids, while the sea floor is filled with unknown riches and essential materials! Recommended by Alyssa Morgan: There are so many wonderful museum collections! Visit your local science museums. 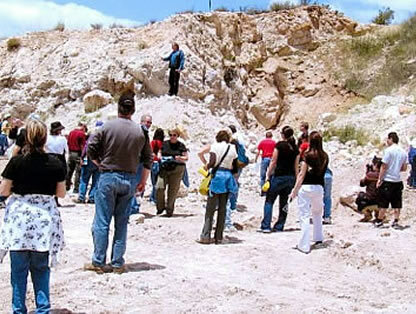 Depending on where you live there may also be mines that offer tours to the public. Your local museum or rock clubs are also a good place to look for recommendations for mine tours. Some top museums for gems and minerals are: the Natural History Museum of Los Angeles County, the Smithsonian Institution in Washington, DC, the American Museum of Natural History in NY and the Museum of Science in Boston. Recommended by Blue Sheppard: Gem tumblers for polishing gems; check out a local hobby store or harborfreight.com. Visit the Crater of the Diamond at Murfreesboro, AR. Rockhounding Arkansas, hosted by a professional geologist and "avid mineral collector" has lots of good general introductory material, including an "ask the geologist" page. The Smithsonian Gem & Mineral Collection. A photo gallery with pictures of some spectacular gems, including the Star of Bombay and the Hope Diamond. A Basic Video Introduction to Rocks and Minerals by Else Parker. A suite of resources (quizzes, games and videos) on rocks and minerals. Assemble your own collection of minerals and learn how to recognize them based on their properties. 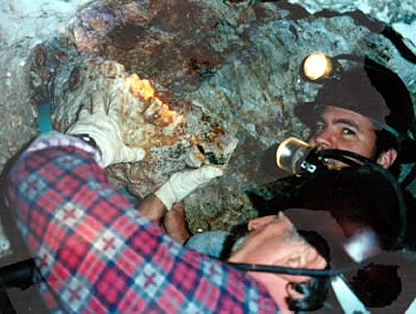 Visit Virgin Valley Opal Mines (two hour drive from Reno, NV), Gems of Pala, San Diego County, CA. An introduction to minerals and gems from National Geographic. 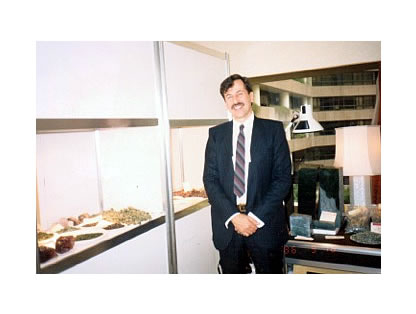 Mineralogy for Amateurs by John Sinkankas. It's out of print, so look for used copies. Just try to visit every museum you can that has a mineral and/or geology exhibit. National and state parks with a geology focus are always great to visit, especially if you prepare yourself in advance with some online research. 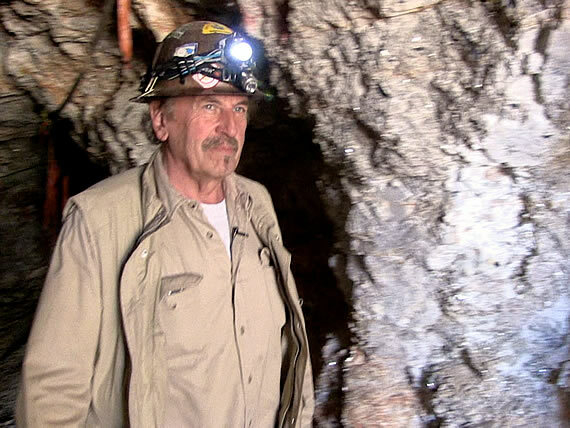 Mines are harder to find and potentially dangerous, but there are some that are open to the public for a fee. I suggest starting a mineral collection. Visit mineral shows to see what people have for sale and either buy some things you like or go learn where they can be collected. You will learn a lot about geology! Many places to dig for gems in the state of Maine. The Carolinas are also home to many gem sites. Recommended by the Kids' Science Challenge: Rocktumbler.com A nationwide listing of places where you can pay a fee to search for minerals and gems, and keep what you find; also a source of gem tumblers. If you do intend to visit a mineral show, here's a preview of what you can expect to see. The Gemological Institute of America. A link compiled by Humboldt State University to a number of internship programs for Geology students nationwide, including projects with the American Geological Institute and the Geology Society of America. Along with mindat.org and findingrocks.com (see Resources Section), this site offers an excellent compendium of resources on Gems and Minerals.